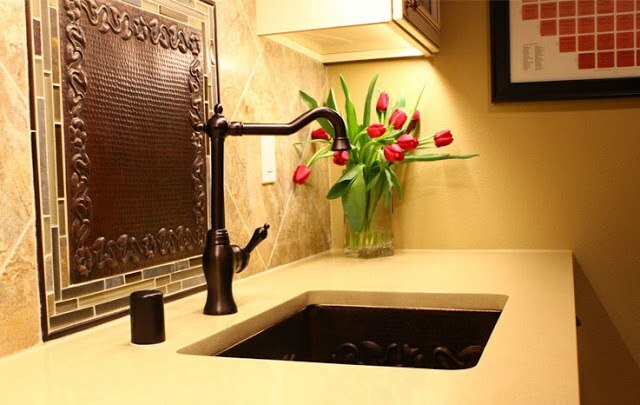 Okay, maybe we're slightly biased, but here at McMonagles Marble & Granite, we believe that the kitchen is the most important room in the house and that the kitchen countertop is its most important feature. 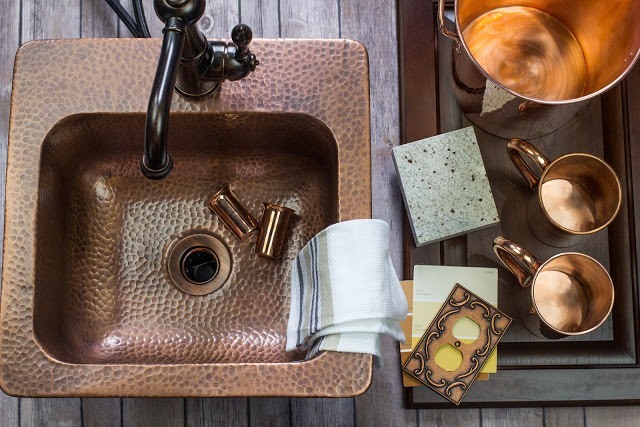 Furniture will come and go, styles will change and adapt. 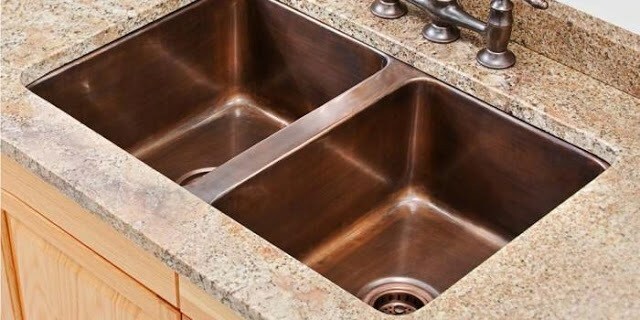 Appliances (even good ones) will break and your house, family, life and needs will all change over time. 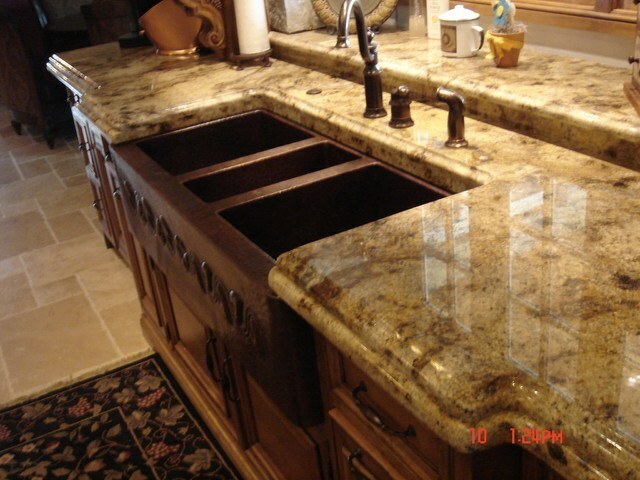 At the heart of it all is food, family and life and this life takes places on and around the kitchen countertop. 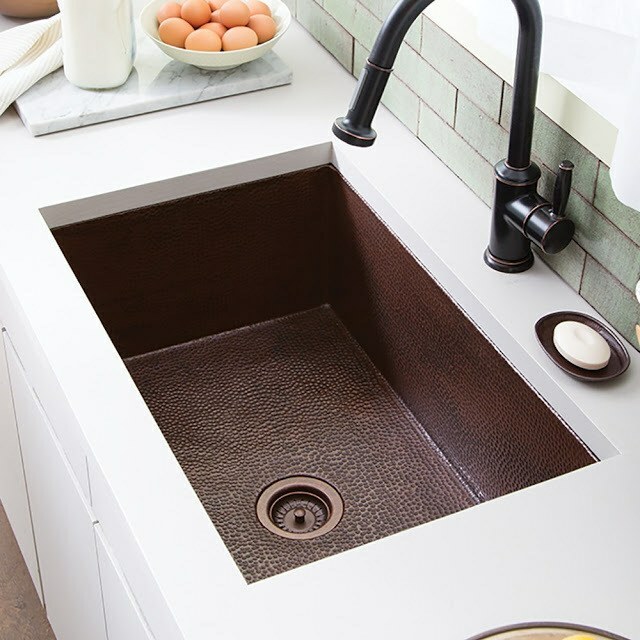 From morning toast and tea before work, cooking an evening meal with a partner until kids are grabbing lunches from a kitchen island, a well-designed, beautiful kitchen countertop will stay beautiful and useful from your first day to your last. 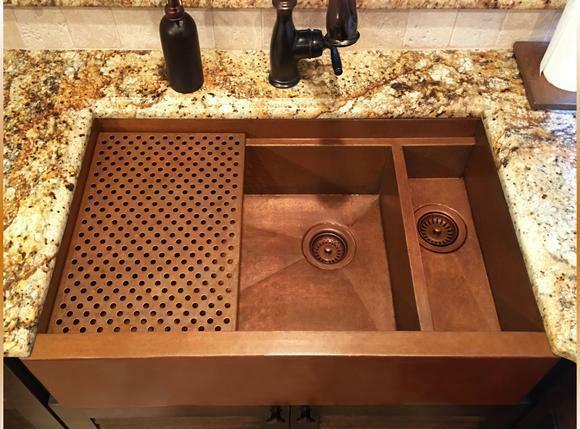 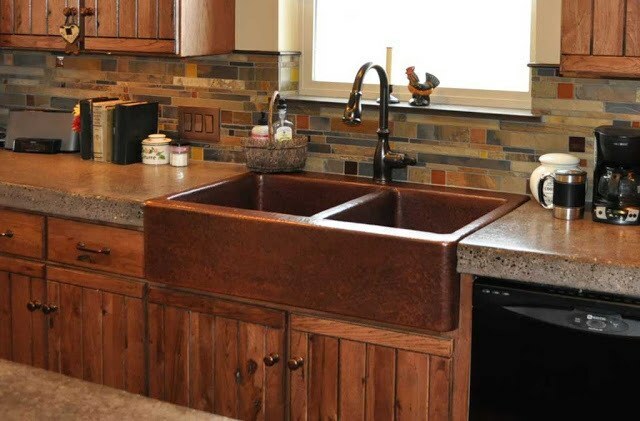 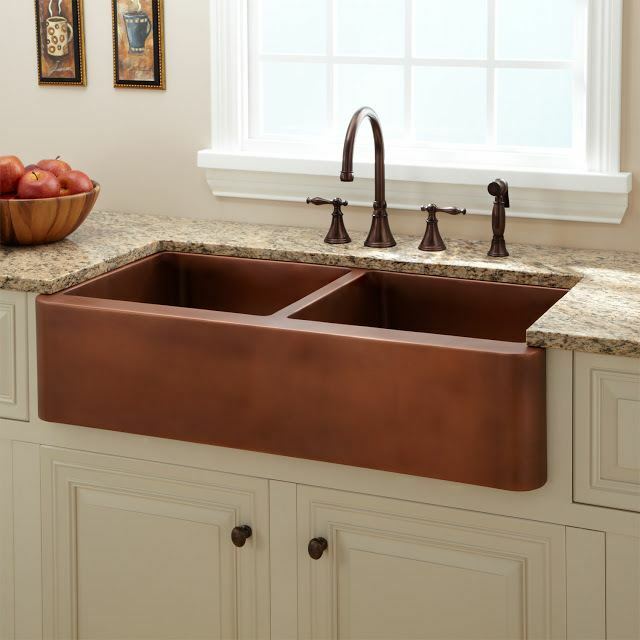 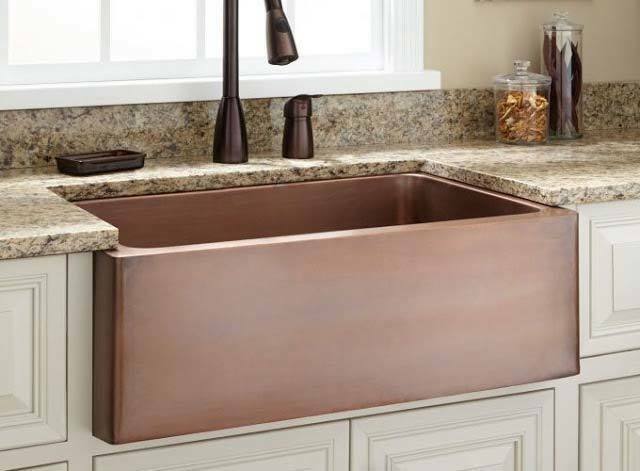 So, now that we have (unbiasedly 🙂 laid out the fact that is the kitchen countertop is the foundation of a beautiful kitchen, what other items must be added to bring life, style and use to a used kitchen - none other than the kitchen sink. 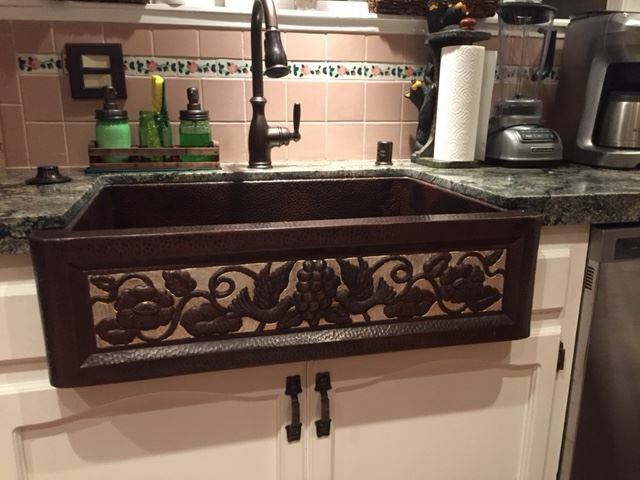 Up there with the countertop it is one of the most used and under-appreciated items of the kitchen. 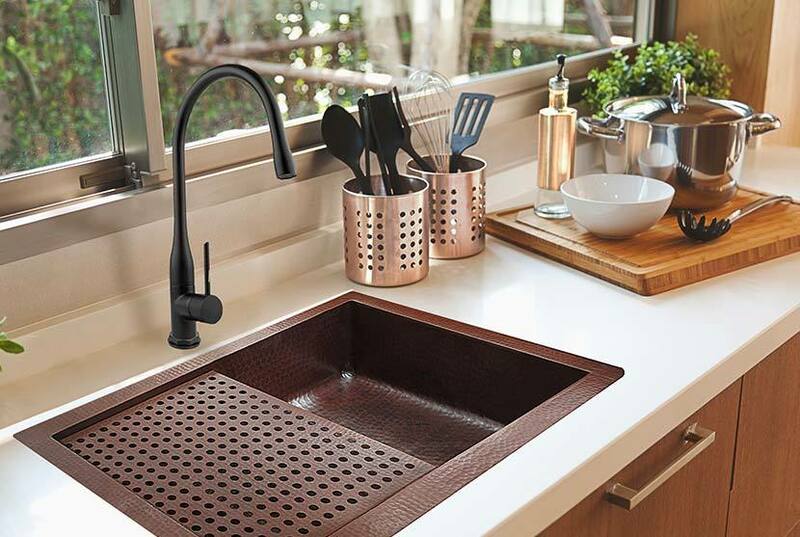 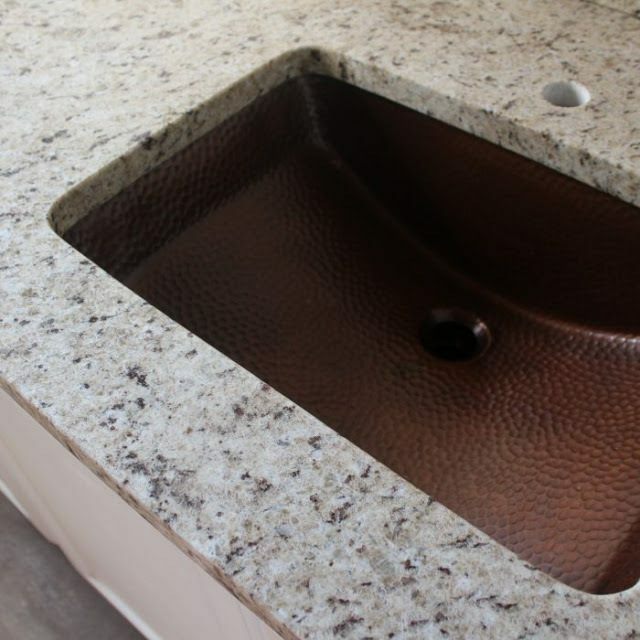 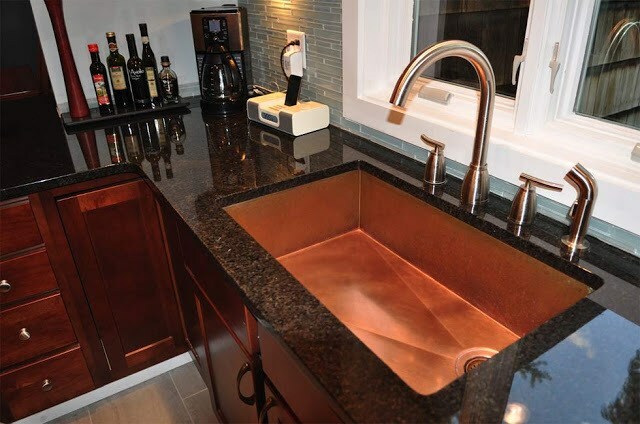 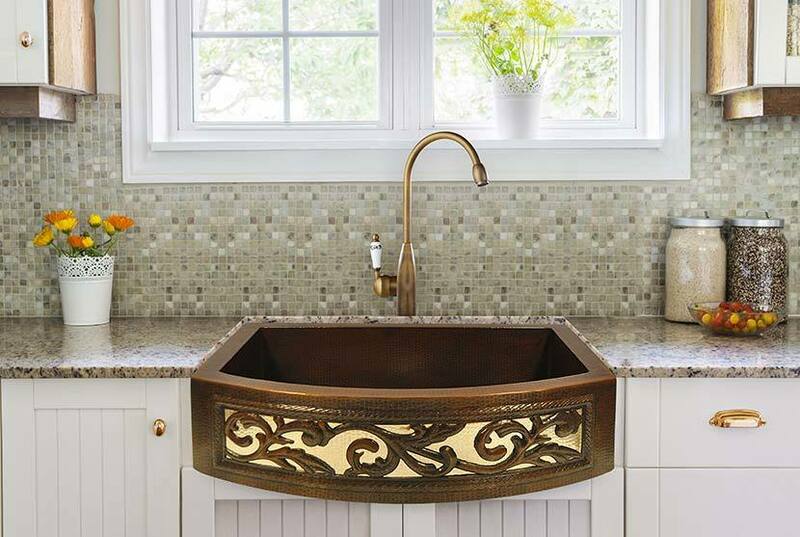 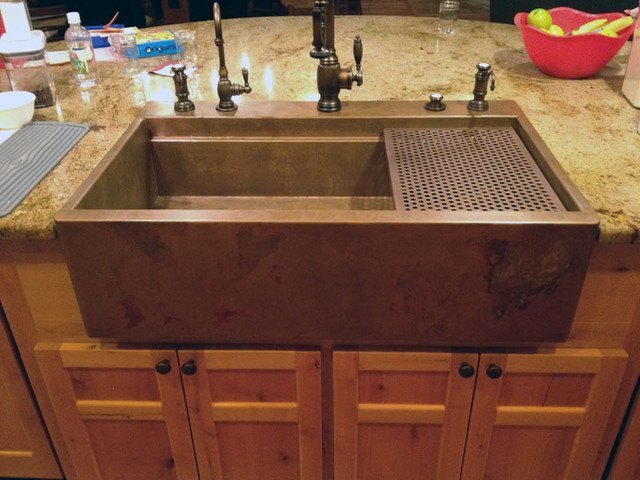 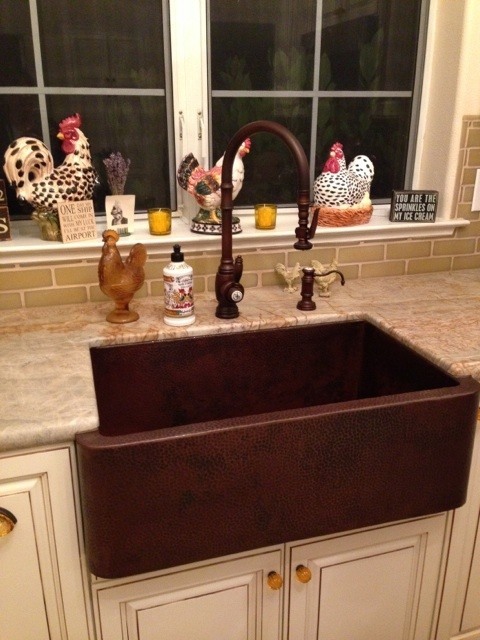 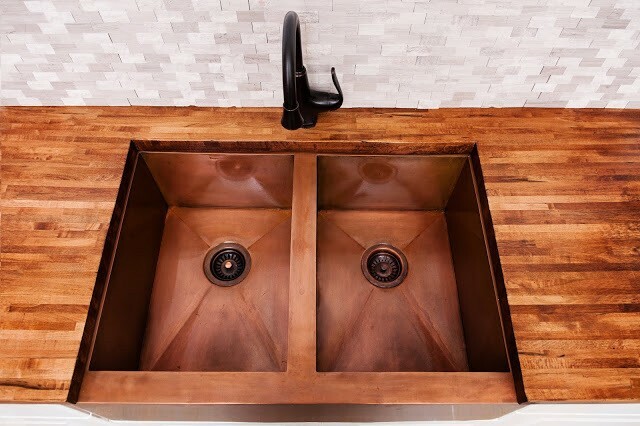 A kitchen sink can be as beautiful as the granite countertop it sits into. 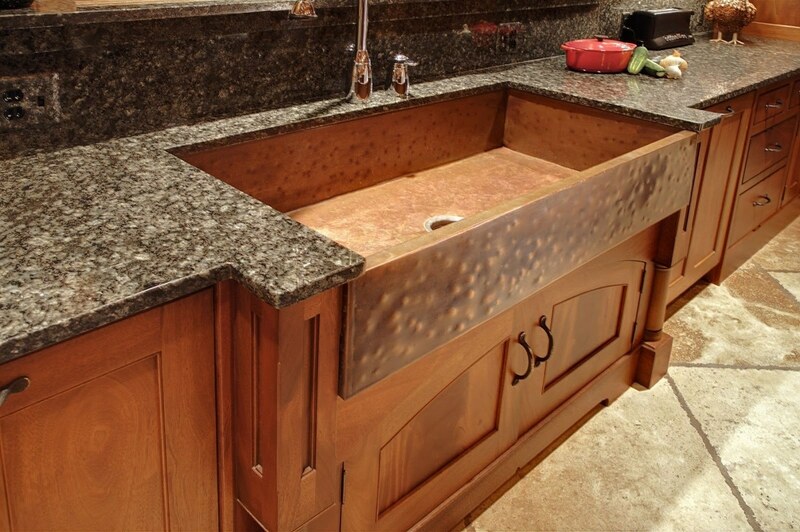 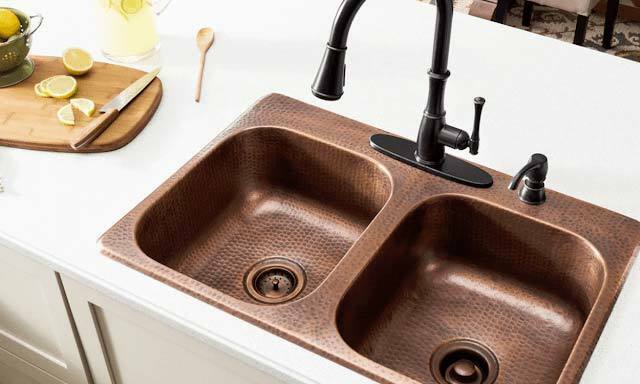 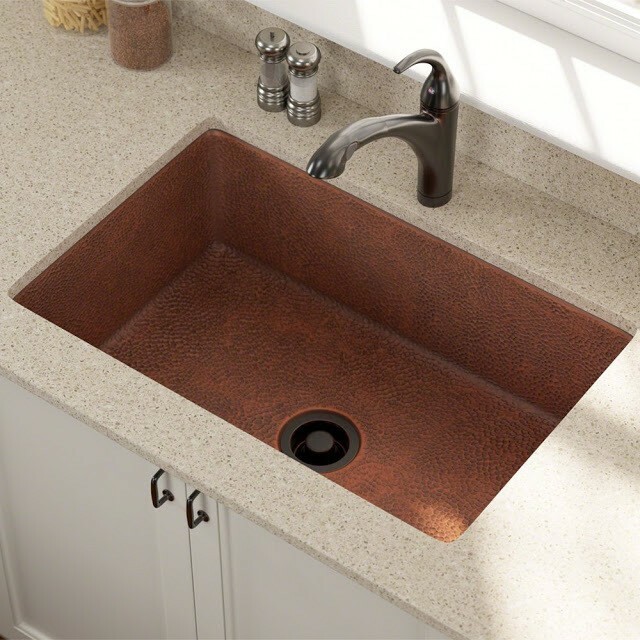 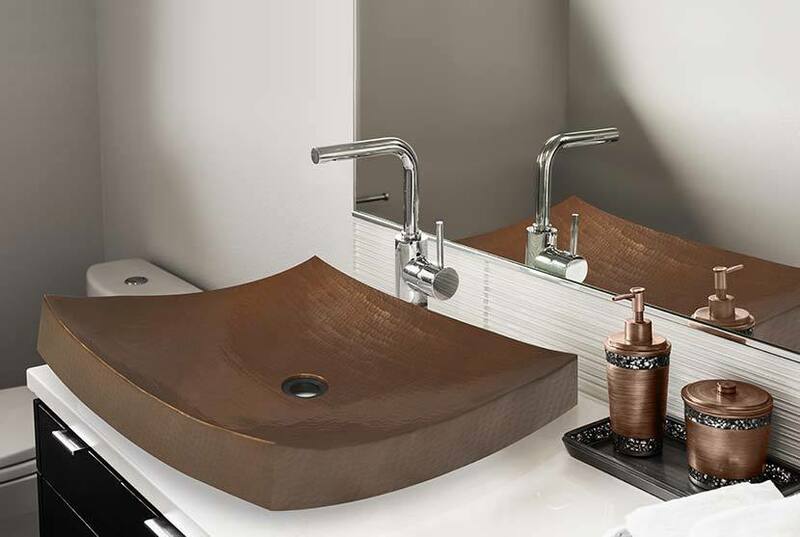 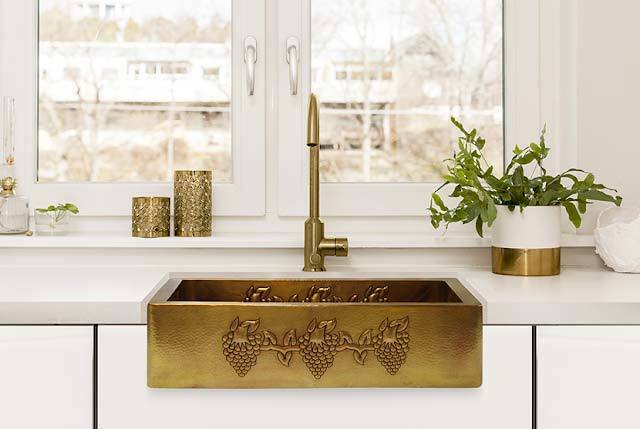 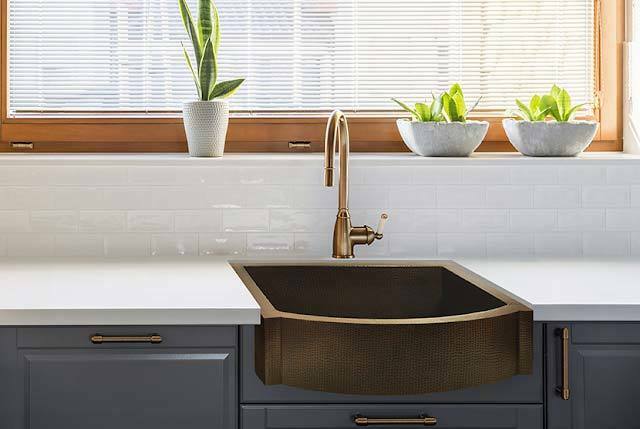 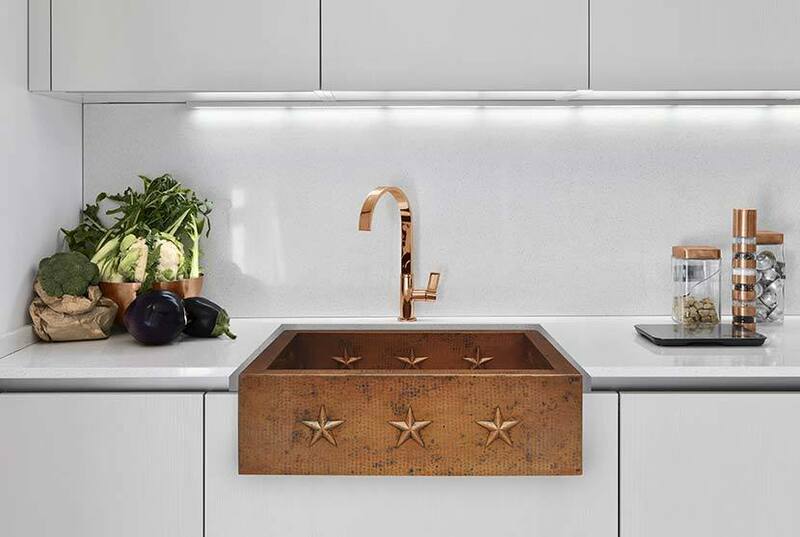 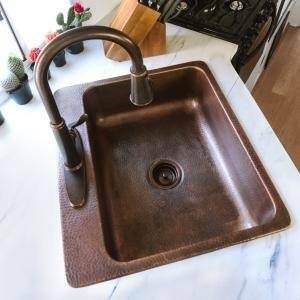 Don't believe me, check out these great examples of some interesting, unique and beautiful sinks resting into kitchen countertops. 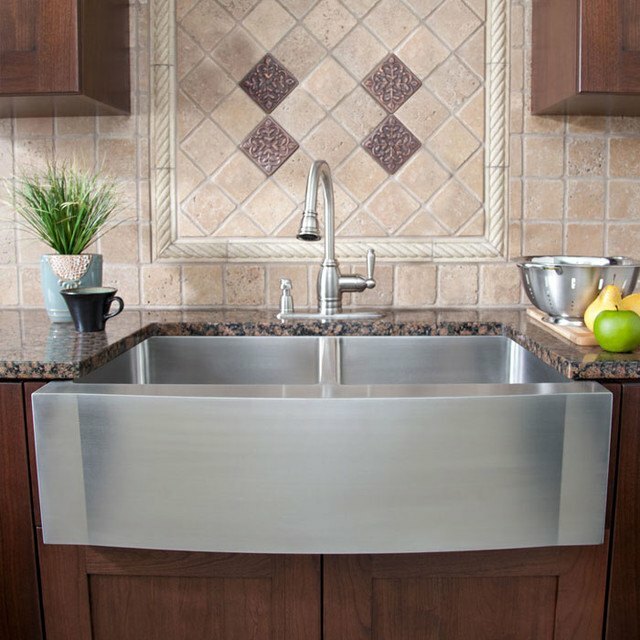 Thinking of bringing life to your kitchen?